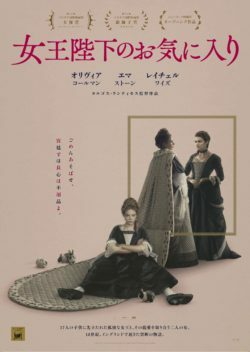 Directed by Yorgos Lanthimos and written by Deborah Davis and Tony McNamara, this is a historical comedy-drama film set in early 18th-century England. It stars Olivia Colman as Queen Anne, Rachel Weisz as Lady Sarah and Emma Stone as Abigail. This film won two awards (Grand Jury Prize and Volpi Cup for Best Actress for Colman) at the 75th Venice International Film Festival in 2018. In cinemas from 15th February.